While vacationing on the shores of the St. Lawrence River, in Canada, a family received an unexpected visitor: a baby beluga whale. The calf, a female who was likely born just hours earlier, had lost her mother. The boys who had stumbled upon her scrambled to save her life. "We dug a hole so that water would accumulate and its skin would hydrate," 15-year-old Nicholas Milliard, who first found the calf with his younger brothers, told CBC News. "Every five minutes we got it a bucket of water. The water level was dropping, and it was becoming more and more difficult to get water." It doesn't happen very often that humans meddle with sea life and save a life - too often we've see the opposite happen. 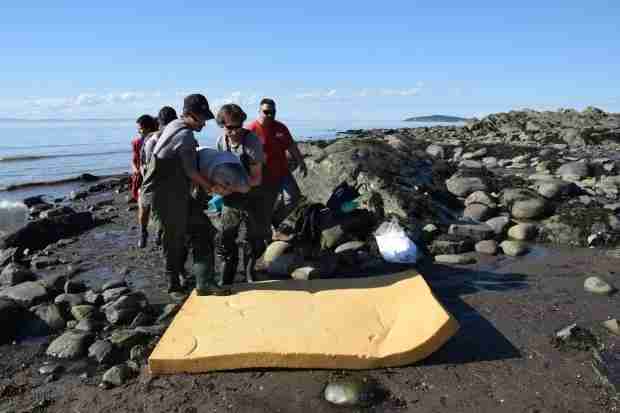 But in this case, the Quebec family was able to stabilize the baby beluga until help could arrive. 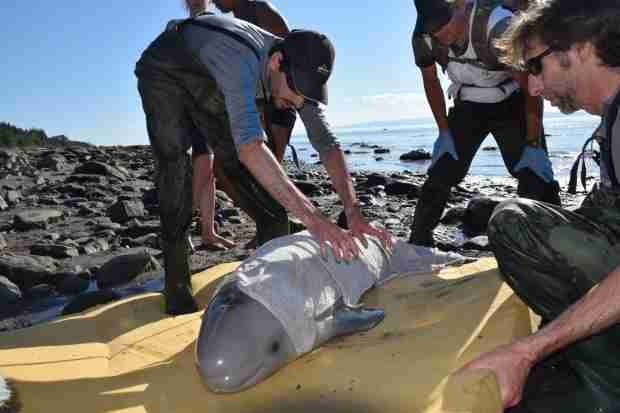 Researchers with the Group for Research and Education on Marine Mammals (GREMM) arrived to carefully move the ailing baby back into the waters, near another pod of beluga whales. The hope, as GREMM president told Le Devoir, was that one of the other females might be induced to feed her. Sadly, most recent reports suggest it has not yet happened - which makes the situation particularly precarious for the baby beluga. Beluga whales nurse their young for around two years. This baby, just days old, is desperately in need of a lactating mother to give her a vital start in life. "For now, we do not yet know the outcome of the story," Michaud told Le Devoir. 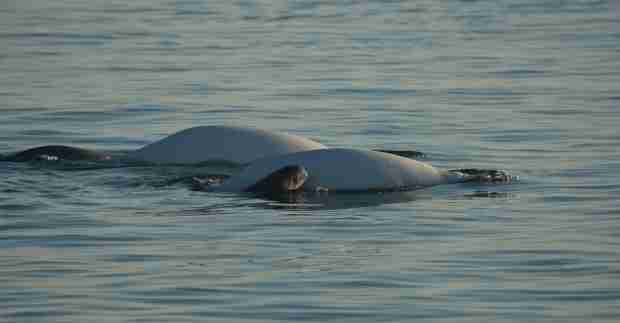 The calf's survival is particularly vital, as the beluga whale population ebbs to unprecedented levels in the St. Lawrence region. The area, Michaud notes, once boasted thousands of beluga whales. Today, the population is estimated at less than 900. Much of that decimation, according to the World Wildlife Fund of Canada, is due to the river's rising pollution levels. 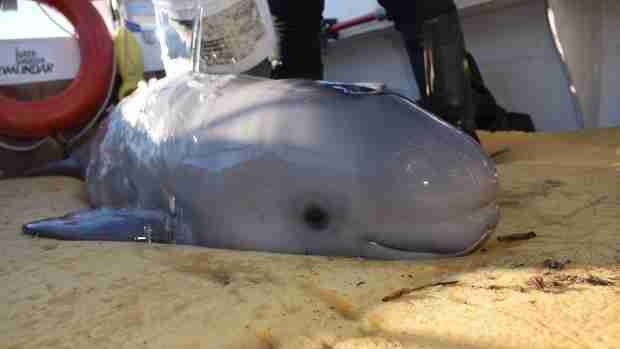 But this baby beluga, at least, has a fighting chance. She held out on the beach for her young heroes. And now, she's holding out for a mother. For more information on what you can do to help support the beluga whales of the St. Lawrence River, click here.